The bravest woman I ever had the privilege to know passed away today. 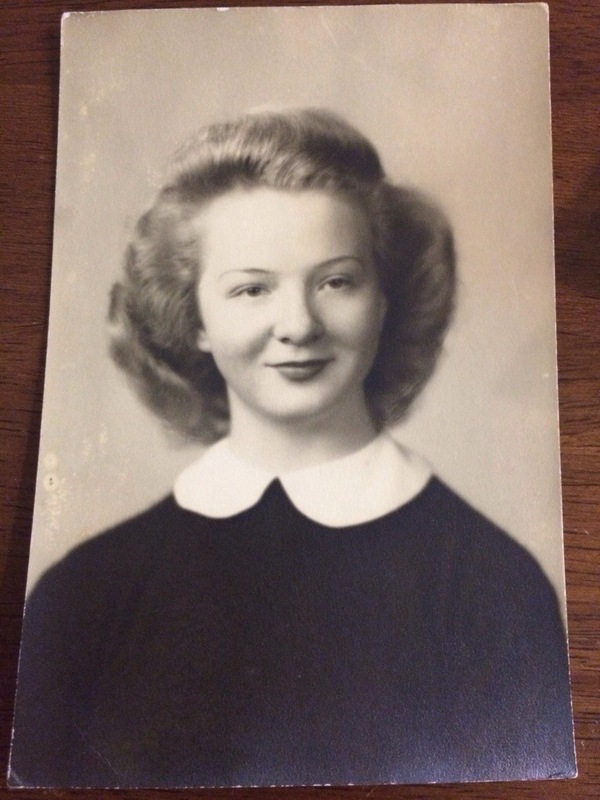 My father’s mother, one of my grandmothers (I had so many once upon a time!). For over 50 years she faced this ever changing world in a wheelchair, paralyzed from the neck down due to contracting polio in the 50’s. As a young woman (early 20’s) She was a stunner!! I never thought about it really until I was older, what a marvel she truly was. She “drove” her chair around, wrote with her mouth, used a typewriter and even learned to use a computer. This after being a single mother and raising 3 children!! Two boys at that (as the mother of three boys, I give her MAJOR props!!) Of course she always had wonderful caregivers (which in turn meant wonderful treats snuck into my pocket as a young girl! ), who made her home, and her very existence, an experience never forgotten. My fondest memories are pouring over the Sears Wishbooks in her living room. Her and her mother (my great-grandmother who lived to be over 100!) would encourage imagination and I remember dreaming about how amazing the Barbie Dreamhouse probably was. (For the record, I never did get the big expensive one in the late 80’s. But really, all one needed was imagination back then to create a dream house!!!) My last visit to see her (too long I fear, I am quite a naughty granddaughter), the Wishbooks were gone, but the magic remained. Oh, my grandmother was older and speaking was harder for her, but she was still the same wonder, teaching a new generation about the wonders of an electric wheelchair and laughing the same as always. Talk about a lady with some serious MOXIE!! I regret not taking the time to visit her the past couple of years. In that, I hope she forgives me. I could pull a million excuses out, but ultimately it boils down to this: I am a bit of a coward. It was uncomfortable to see her age, and not be whom I remembered. 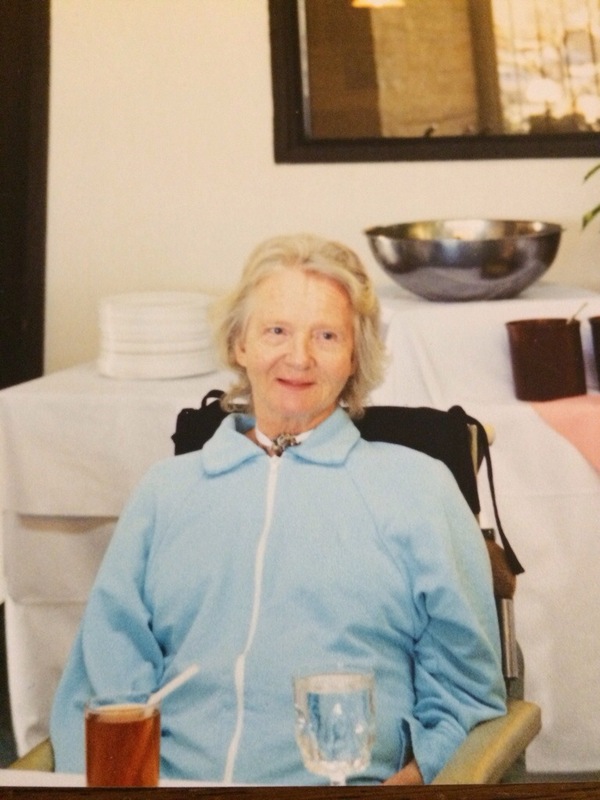 There were new health challenges for her, and a move to an assisted living facility. In this I failed her and I failed myself. For not saying goodbye properly. I know you are up in a better place now Grandma, running wild and free after being stuck in a broken earthy body for so many years. May you find joy and happiness, and one day we shall meet again. Thank you for the inspiration and for sharing your determination with us. Much Love. This entry was posted on December 31, 2013 by katespadegirl. It was filed under Life .